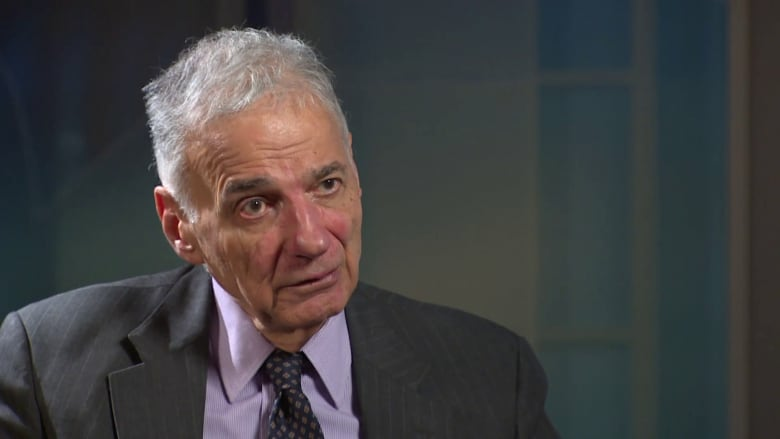 Former Green Party presidential candidate Ralph Nader says president-elect Trump is an “unstable personality” and could “become a monster” should there be a major terrorist attack on American soil. Former Green Party presidential candidate Ralph Nader says president-elect Trump is an "unstable personality" and could "become a monster" should there be a major terrorist attack on American soil. "I'm afraid the adversaries overseas see us as a sitting duck of provocation. With a person who will lash back," Nader told The National's Wendy Mesley, adding that civil liberties and domestic issues could then take a back seat to the war on terror. Nader also said he believes the president-elect is hiring "warfare people," referring to Trump's latest cabinet nominations, but hopes the president-elect will be able to sort out America's problems with Russia. However, Nader also said he didn't think Trump wanted to be president when he initially ran for office. "Along comes a failed gambling czar who's a corporate welfare king and cheats his suppliers and workers, and lo and behold, he was surprised like all of us — he's suddenly on his way to the presidency, even though he lost the popular vote," Nader said. "When he came out of the White House, after the meeting with President Obama, I looked at him and said 'here's one of the most scared men in the country.'" 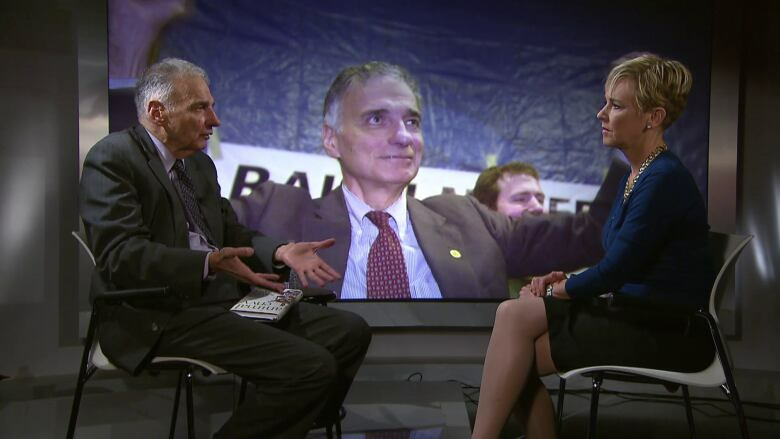 Nader, however, has found some common ground with Trump and says things could go another way. "He has dumped the TPP [Trans-Pacific Partnership]. He helped the progressive movement," he said. "He's ended the Bush and Clinton dynasties. We have to pay some debt of gratitude to that." Nader cited the FBI director's decision to look into Hillary Clinton's emails just days before the election as part of the reason why Trump was elected. But Nader added that the election result was retaliation against Clinton because people don't like the Clintons. But much like the tight 2000 election when Nader ran against Al Gore and George Bush, some have said the third parties have been "spoilers" during this year's election. He says that's "Democratic scapegoating." Shades of Ralph Nader: Did Gary Johnson and Jill Stein tip the 2016 U.S. election? "A spoiler is a political bigoted word only directed to third parties that are trying to upend a spoiled political system run by the two-party tyranny," he said. "The more the Democrats scapegoat, the more they don't look themselves in the mirror, and the more they don't ask themselves why aren't they landsliding the Republican Party, which is the most ruthless, ignorant party in its 164-year history based on the votes in Congress." Nader said that what is now needed is a citizen mobilization of conservatives and liberals to create an unstoppable political movement. "He says he's going to make America great again, and I fear he may make America break again."